This wooden bottle opener will be an elegant addition to anyone's home. A simple screw and washer are inset into elegant hardwoods to create a truly unique bottle opener. No two are ever alike! In addition to the elegant look, this wooden bottle opener prevents the bottle caps from being wrinkled upon removal. 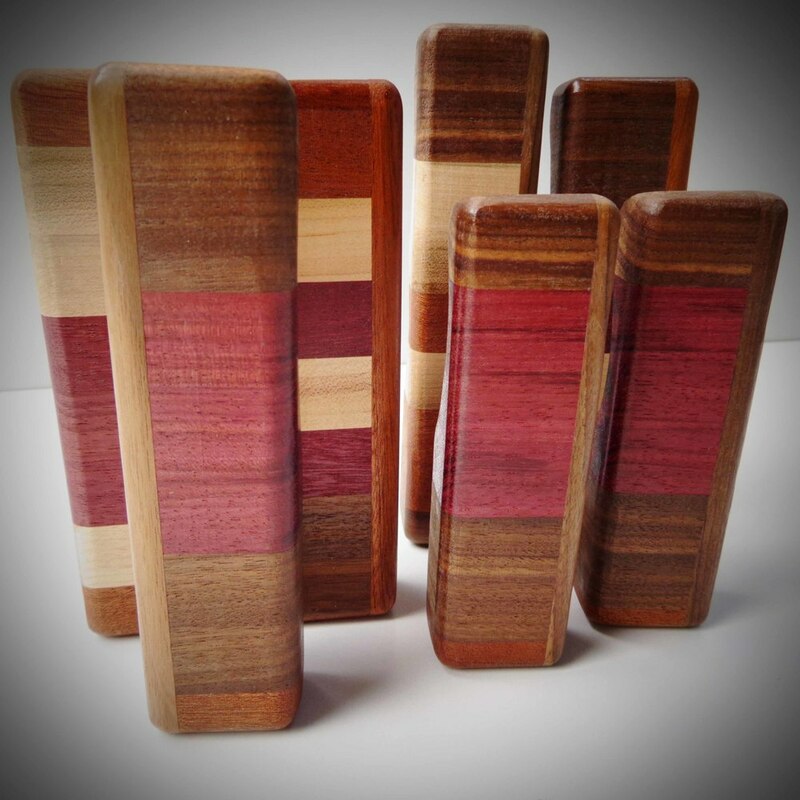 You can choose the hardwood combination you like from, blond maple, black walnut, brown mahogany, and purpleheart. Most bottle openers will contain some blond maple. You can also choose between a short handle (5-6 inches) and a long handle (6-7 inches). Check out the bottle openers in action! Select Length Short 5"-6"Long 6"-7"